Aero Manyelo is best described as one of the most forward thinking producers from South Africa and his music is supported heavily by international techno tastemakers. 2017 has seen the South African house/ techno giant release a hotly tipped single “Mooki” (a Dixon / Damian Lazarus supported track) off Get Physical, a remix “Fluida” off Southern Fried Records and tour all over Europe with his project Batuk w/ Spoek Mathambo. Going into 2018 we will continue to see Aero push his distinct style further, currently putting together tracks for his debut EP release and Body Language compilation for the influential German label Get Physical. Furthermore there is an upcoming release on Moblack records. Having grown up in the Johannesburg township of Ivory Park, Aero Manyelo was influenced by his father’s love of jazz with his music possessing a depth that distinguishes it from South Africa’s plethora of house music. It was Manyelo’s “Mexican Girl” that caught the attention of South African music industry heavyweight, Oskido. 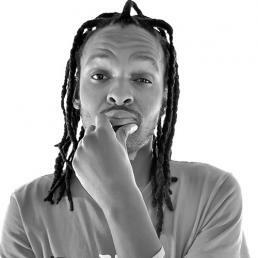 He quickly added the track to his Oskido’s Church Grooves 7 compilation, helping secure the song the number one spot on Yfm’s Hot 9@9 chart, and some heavy rotation on the radio station. His considerable remix skills have also been in demand, showing up on Amadou & Mariam’s “Ce N’est Pas Bon”, Maelstrom’s “USSR” and Jupiter & Okwess International’s “Margarita”, while his original tracks have been included in several high- profile international compilations, including Idris Elba Presents mi Mandela and releases on Sound Pellegrino and Akwaaba.